OK folks... I'm on the road until Monday. The hill people of the Shrouded Peaks had once known glory, they had once known dominion. That was many ages ago and in the intervening years, the Cloud Warriors had fallen to petty tribalism and in-fighting. Standing strong and defiant as always in the harsh mountains was the temple of the king. The impressive structure seemed to grow out of the stones of the precipice is stood on. Tombs to the great kings of old sat cold and empty in the bowels of the structure tended to by the dwindling number of monks who protected the sanctuary of sovereigns. Year after year they rang the great black bell, its tolling echoing off the peaks calling for a new king. Year after year the call went unanswered. Thorvald had made a name for himself as one of the youngest berserkers of the Cloud Warriors, leading the Rising Sun Clan in victory over not only other tribes but also enemies from below the peaks. When the bell had rung out across the misty mountains, Thorvald Hrafnkelsson, journeyed the Three Peaks Path to answer the tolling of the great black bell. With Thorvald standing in the center of the sacred circle, surrounded by the temple's monks, the bell began to sing. A loud and strong vibration rang out from the dark metal and when it had ceased, Thorvald was gone. For three long years, the Jarl of the Rising Sun Clan was absent until it was time came for the bell to be rung again. When its first notes sounded out across the peaks, Thorvald rematerialized in the circle a changed man. His eyes glowed with a divine radiance and all who stood before him knew, a new king had been named. RP Sample: Quiet finally descended back upon the central hall in the Temple of the King. 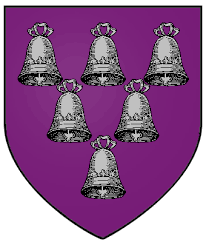 Representatives of two separate clans had come to pledge their allegiance to Thorvald but many others had refused the summons from the Keepers of the Bell, the monks who protected the holy sanctum and the black bell it held. There were many clans of Cloud Warriors in the Shrouded Peaks and Thorvald was not going to convince them all to bend their knee to him simply by completing a ritual atop an isolated mountain. He would have to prove his worth to them. Prove he was a true king by action and not merely by ceremony. Pushing open the double stone doors that led to a balcony overlooking the snowy peaks below, Thorvald could just barely see the ribbons of green through the mists that curved their way through the mountains. Strings of life wound their way through the bluffs hugging the contours of streams which led to rivers which fed larger and flatter valleys where the seats of the clans were. The rivers then led out to the Forgotten Coast and the ocean beyond. To rule within the mountains, he would have to venture beyond them to gain renown, fame and fortune. Some clans could be bought with gold and treasure. Others could be swayed by acts of valor and deeds of courage. Some would never relent and would only be brought into the fold through violence. For that, Thorvald would need to consolidate his power, hone his skills in battle and build an army of his own. Passing back through the meeting hall, he opened a set of doors set into the opposite wall. These led to yet another balcony. This one faced the lands beyond the mountains. There were other holds out there. Other lords and ladies. Thorvald would have to pursue relations with these foreigners if he was ever to fully secure his rule of the Cloud Warriors. In ages past when dragons were a common sight in the sky and the remorhaz stalked every mountain pass was the great Cloud Warrior hero, Snorri. Hero may be a bit of a misnomer as he was rather a scoundrel who would spend time in nearly every clan of the Shrouded Peaks and subsequently be outlawed and banished several times. But his interactions with the various clans of the mountains was not where he gained his fame but his confrontation with the ice wyrm, Hjertefryser which in the old tongue meant Heart Freezer. This great white dragon had claimed dominion over all the Shrouded Peaks and demanded sacrifices of sheep and goats to the point the clansmen who fell under its purview were not permitted to eat the meat of those animals for fear of having less than the wyrm demanded. It is believed that this the killing and eating of goats and sheep in modern Cloud Warrior society demands a lavish ceremony, prayers to the gods, and thanks to Snorri the Rover. There had once been no shortage of brave warriors who would defy Hjertefryser, for to kill the wyrm would mean freedom from his oppressive demands but with each dead challenger came a larger claim of livestock. The Cloud Warriors had been culled into submission by the beast. Except for Snorri the Rover. He roamed the mountains searching for the legendary sword, Brannhoste, said to hold the power of flame within its blade. He appealed to each clan he encountered for shelter from Hjertefryser, for the wyrm hunted the last usurper, and Snorri sought out the mystical sword. His search proved fruitless and Snorri had visited every clan and every clan had banished him from their lands for fear of the wyrm's wrath. One clan remained for Snorri to visit, the secretive Varbjorn Clan, or Bear Men. They were followers of ancient magics who could change their shape and assume the fearsome form of the bear and who did not suffer intruders onto their land. In their wisdom, they wished to see Hjertefryser destroyed and so laid out a series of tasks for Snorri to complete to prove he was brave enough to take up such a task and worthy of receiving their greatest gift. And so Snorri was sent out to defeat the great white bear, Isbjorn who was said to steal Varbjorn children in the night. Next Snorri had to steal an egg from the roc, Stororn. He rode the egg down the mountainside and hid in a cave for nine nights to escape the vengeance of the large eagle. The third and final task was to defeat the remorhaz matriarch, Firfirsle. 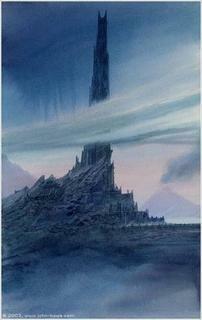 It dwelt within the smoking cauldron of the mountain Katla. Upon completing his trials, Snorri was granted the Boots of the Winterlands which granted him resistance to not only the chill of the mountain winds but also to the frozen breath of Hjertefryser, the great white wyrm. No one knows what happened to Snorri but it is certain he succeeded in his quest for never again was the white dragon seen in the Shrouded Peaks. The shaman's of the Cloud Warriors, the Volva, speak of a cave hidden in the highest peaks where only the brave could find Snorri's body still frozen in place over the dead body of Hjertefryser. The gift of the Varbjorn enough to allow him to kill the wyrm but not to save his life. They also speak of the vast horde of treasure surely to exist in the lair of such a fabled beast. 1 Aasimar Speed 30 ft.
Last edited by tomplum; Yesterday at 08:13 AM. @tomplum... Just hanging out in the airport in Houston and saw your app come thru.... Nice!! Looks awesome. Looks like you're COMPLETED!! Thanks for coming down off the mountain for us, I really like what you've done here. Last edited by savoylen; 04-15-2019 at 10:50 PM. Thanks! You've got a great game concept here that I couldn't pass up. App still feels a bit short. Think I might add an inner monologue about something to flesh the character out a bit more. Backstory/Concept: 3rd son of a minor nobleman. Too physically small and weak to be sent to a Knight Order, his father provides an endowment to a library owned by the Church of Azuth so that his son could take Holy Vows. Having spent 23 years as a scribe in Sembia, he has finally been sent to the library to replace the head librarian who has recently passed away. The library also has a small chapel dedicated to Azuth. As in keeping with the Church of Azuth, the Asst Librarian, Holly Goldbloom is a wizard. The scribes are about equal clerics, monks and wizards though there is one Knight (Swords of the High One). 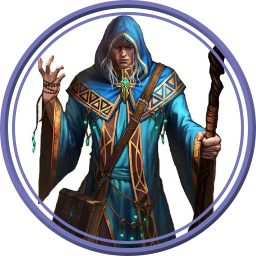 Unlike many other Azuthan clergy, Percival occasionally publicly expresses opinions on matters of morality leaning slightly towards good vs evil but for the most part remaining neutral.Though not a Loomwarden himself, Percival is still distrustful of sorcerers, warlocks and wild mages, believing that those who wield magic should study it so as not to misuse it. Battle Cry: Do not hoard your knowledge, and encourage creativity in magic in all ways and at all times. Not much of a battle cry but what do you expect from a librarian. 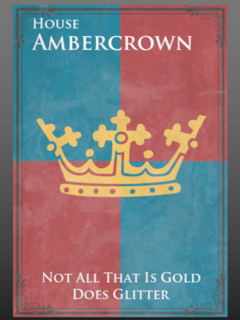 House Ambercrown main source of revenue is the production of oil- hence it gets gold from stuff that does not glitter. The library displays the holy symbol of Azuth, not the Ambercrown family arms. Last edited by Gualdarrama; Yesterday at 12:58 PM. Sorry dude, just bad luck on the timing. Write a better back story to beat me out; I didn't put as much effort in the backstory as I could have. May the better monk win! Hello all, I am really loving the feel of this game. Please consider this a placeholder until I can get an app together. Hopefully I am not too late for this. I will aim to have a glorious app up and completed by the time the weekend is done! Sounds awesome!! No worries on bring too late... I'll take apps all the way up to first pick day on around April 26th ish. 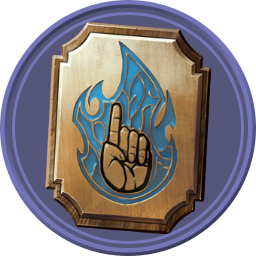 DM: Would it be okay to add a little bit of RP of Roem's entrance into his keep, possibly meeting some NPC's, or would you like us to hold off on that for now? That's cool with me.... Just add it as a section to your app now and after selection we will copy it to your domain. It will be neat to some of work. Have fun with it! 1. Read: Done and agreed. "Read this." I grunt as I hand you a note and turn back to the window, my breath steaming as it mixes with the smoke in the cool twilight air. This letter is written in the utmost secrecy and desperation. Please return with all possible urgency. Your people need you! Your father was assassinated in a plot by your brother, Celsus and the general. After slaughtering your father at a feast celebrating the news of your latest victories, General Elijah turned on Celsus and left him in the swamps to die. Elijah has become a tyrant in the vacuum of power with no one to oppose him. My nails have worked deep scores in the sill as I wait for you to finish reading. The second you look up from the paper, I round on you with anger aimed at an invisible target leagues away. "Now do you see why I must go?" This is a reincarnation of a character was created on this site for a Pathfinder game where the PCs were chosen champions of dragons. The game fizzled, but I liked the character so much that I continued creating Fenmire characters (half siblings of this original Fenmire). Celsus application which provides a lot of the backstory for how Elijah took over. Your Banner/Sigil: Vari Fenmire was the first of his line and the first lord of his lands. He settled a formerly wild swamp inhabited only by kobalds, bullywugs, and an occasional tortle. They used the fear of the swamp to keep outsiders from attacking while they built their strength, and their motto reflects it. Since my application for another game with a high post rate got accepted it wouldn't be right to apply to this one as well. Have fun! Congratulations on your new game! Thank you for considering Strongholds. Nice applications!! Thanks for all the hard work that obviously went into them! Ps: I'm still on the road so i will got the status board caught up on Monday.